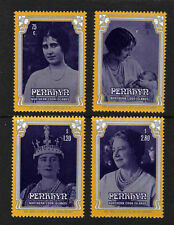 PENRHYN IS.1985 QUEEN MOTHER SET SG 378-381 MNH. 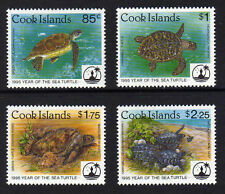 COOK IS.1995 SEA TURTLE SET SG 1382-1385 MNH. 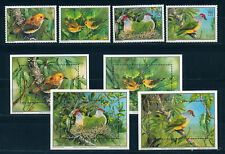 COOK IS.1985 AUDUBAN SET SG 1015-1020 MNH. Cook Islands. full sets & minisheets. in good condition. (3) Select each item and 'Add to Basket'. You will be back for more! (Cook Islands 2017 Spotless Crake 2014 WWF - Overprint (OVPT) Revalued - Mint Never Hinged (MNH). You will be back for more! 3) Select each item and 'Add to Basket'. COOK ISLANDS. Mint, never hinged. 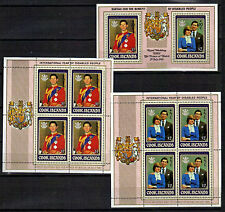 Unmounted mint MNH stamp(s)in very good condition. 1978 &1980 Penrhyn - MNH. SET OF 2 (SEE PIC) . dad's stamp collection. I will do my best to help and get back to you quickly. Aitutaka 1976 161 50c Bicentenary of Capt. Cook’s arrival in Hawaii - strip 3 with center label SG#249 Sc#161 EUdp80. Land: Cook-Inseln. Ich löse einen kleinen Australien/Ozeanien-Bestand zum Thema - WWF / Tiere -. Enthalten sind viele farbenfrohe, graphische anspruchsvoll gestaltete Serien. Beim Anblick der Maximumkarten werden die Herzen der Motivsammler höher schlagen. This will only change when heavier or odd sized lots are bought or when, in. All lots are sold as described. Lots are sent out within approx. Lot Surinam - / o.
Cook Islands #O88-102, in VF, MNH Conditions. Cook Islands. Condition: MNH. see picture/scan. SC# 243-47. 1968 Christmas. Cook Islands. Condition: MNH … see scan. Souvenir Sheet. Cook Islands. Souvenir Sheet. Condition: MNH. Cook Islands #O103-17, 15V, in VF, MNH Conditions. 1970 Apollo Astronauts. SG 321-327. COOK ISLANDS. The SG number is given for a guide only. Mint Never Hinged. MNH - Mint Never Hinged. MLH - Mint Lightly Hinged – Good clean stamp with little or no hinge remainders. Aitutaki issued May 27 2016. Marae Moana of the Cook Islands. Cook Islands. Pacific Marine Life. 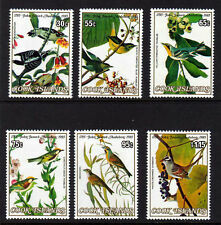 Stamp Singles Set Issue. from National Geographic Creative. TO GIVE YOU THE BEST S/H POSSIBLE! WE KNOW THAT YOU HAVE CHOICES. (Sheetlet with 4 values (4v M/S) You will be back for more! 3) Select each item and 'Add to Basket'. Year of the Rooster. Cook Islands. US singles, PB’s, booklets & panes, Foreign Topicals & MORE. Mint Never Hinged. CHINESE NEW YEAR. TO GIVE YOU THE BEST S/H POSSIBLE! 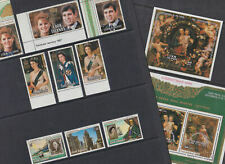 COOK IS.1994 XMAS SET SG 1365-1372 MNH. 1994 XMAS SET. SG 1365-1372. FINE UNMOUNTED MINT. (Aitutaki Cook Islands 2018 Easter - Mint Never Hinged (MNH). 3) Select each item and 'Add to Basket'. You will be back for more! REST OF THE WORLD - £2.00. ​ IO N AS SCAN. Major Faults such as Pinholes, Major Creases, Thins and Tears that are not noticable from the scan are always Declared. CHINA VALUED OVER £10. No Exclusions. Condition: Mint Never Hinged. Year of issue: 1992. Mint hinged. SORRY FOR THE INCONVENIENCE. Nice add to your collection. Aitutaki..1979. 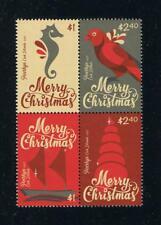 SG 273,4 & 5 Attractive strip of mint stamps. SG 273,4 & 5. Mint light hinged. 1985 Audubon Birth Bicentenary. COOK ISLANDS. Mint, never hinged. :- The item you receive may not be the item scanned, but will be of similar quality. Year of issue: 1978. No Exclusions. Glauben Sie, dass der Preis ist nicht richtig?. Get Supersized Images & Free Image Hosting. 如果找到便宜？讓我們知道！. सस्ता पाया?. हमें बताइए! Kapitulation mit Links. Keine Gewährleistung. Herausgegeben unter Mitwirkung des Druckfehler-Teufels vom Sieger Verlag in Lorch. Fidschi MiNr. Land: Fidschi. Motiv: Flugzeuge. 1973 Easter. Cook Islands. Set of 3 Souvenir Sheets. (Penrhyn Cook Islands 2017 Bennett's Butterflyfish - WWF - Mint Never Hinged (MNH). You will be back for more! 3) Select each item and 'Add to Basket'. 1968 Aitutaki, Cook Islands FDC. Captain Cook. First Voyage of Discovery.